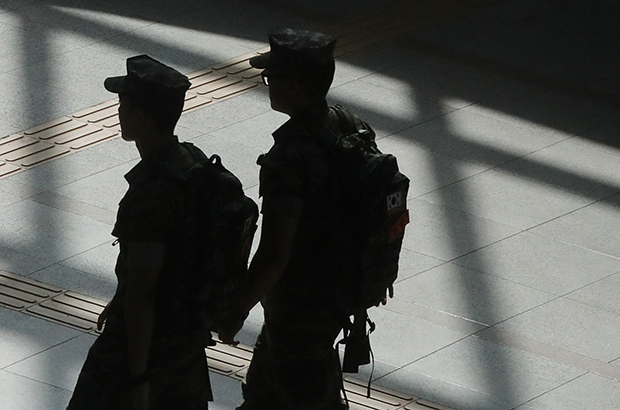 South Korea's military recruitment agency has accused eight men of having dodged or attempted to evade military service by feigning hearing impairment, its investigators said Tuesday. The Military Manpower Administration said that six of the men falsely registered as hearing-impaired after intentionally exposing themselves to the high-pitched sounds of bicycle and air horns to make themselves temporarily deaf. The administration also accused three brokers of complicity. They are purported to have received between 10 million won($8,444) and 50 million won to help each alleged dodger evade conscription by causing temporary hearing loss.